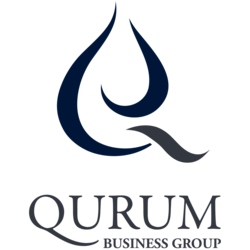 Qurum Business Group’s facilities management (QBG FM) arm has worked on driving the integrated facilities management concept in Oman in 2017. The Sultanate is home turf for QBG, and Sara Momtaz believes there is a shift in perception towards FM in the country. “The prevalent practice of single serve offering is giving way to an integrated approach towards FM in Oman, and the government is playing a role in making that push,” Momtaz told fmME earlier this year. This urgency has helped QBG FM retain and extend its contract with Oman Avenues Mall in Muscat. The firm has also been quite busy in the UAE having won several new contracts and entering new sectors in the bargain. One of its most significant, was a contract award from DEWA, for cleaning and solar test services for various stations in Jebel Ali. QBG FM also won its most significant contract, in terms of value, with the Dubai World Trade Center where it is providing manpower services and cleaning works. A contract award by ENOC – to provide MEP services for the firm’s complex and staff accommodation in Dubai – means QBG FM has also entered the oil and gas space. “Over the past 18 months, we have considerably grown within the UAE, by extending our reach throughout Abu Dhabi into Al Ain, the Western Region as well as Abu Dhabi city with major government clients,” Momtaz says. She also ads that due to reduced budgets, FM companies are now challenged by clients to provide high quality service. “This makes hiring the right manpower pivotal for the company,” Momtaz adds.